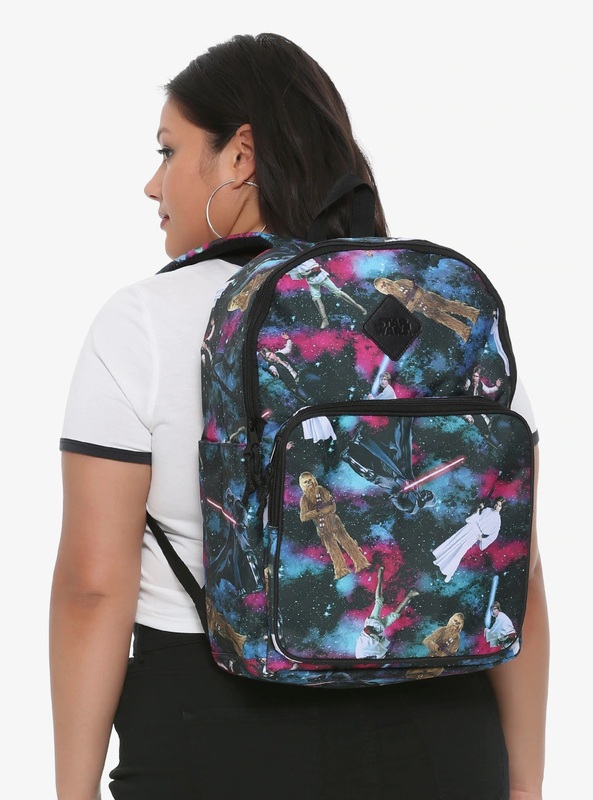 This cool Star Wars character galaxy backpack is currently on sale at Hot Topic! 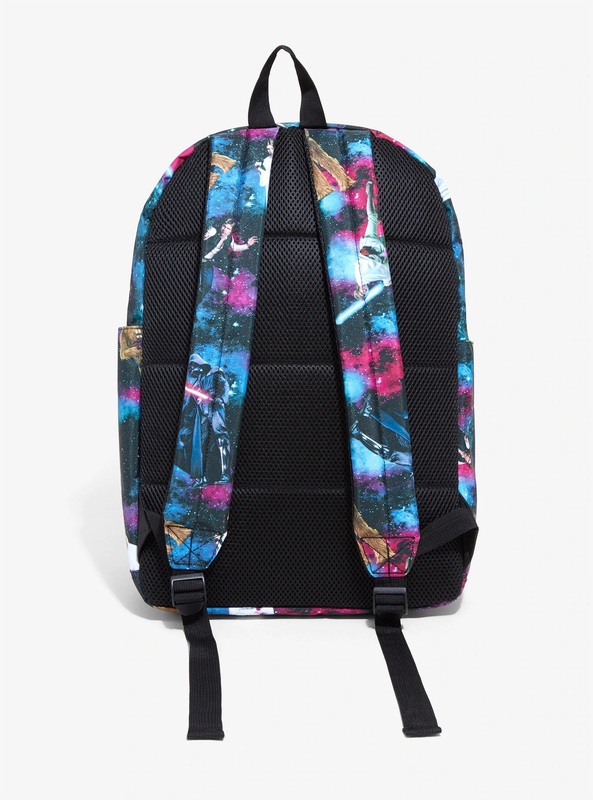 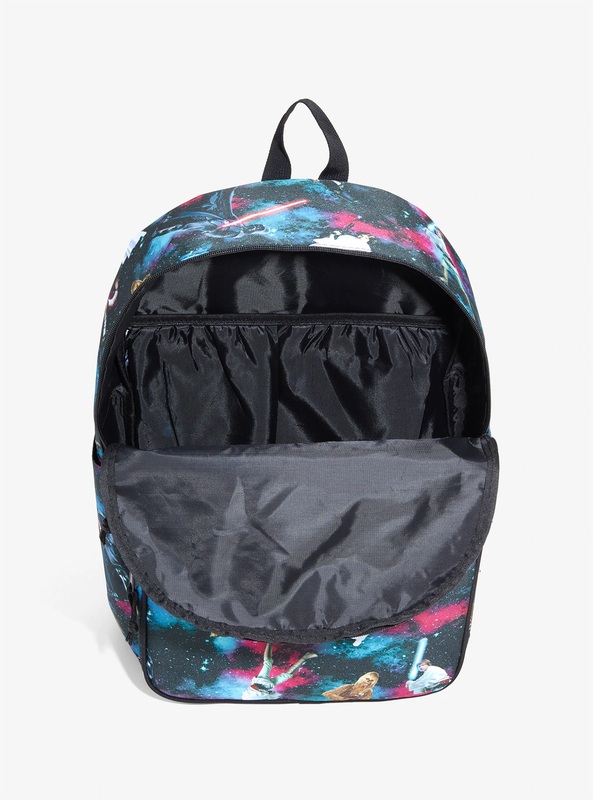 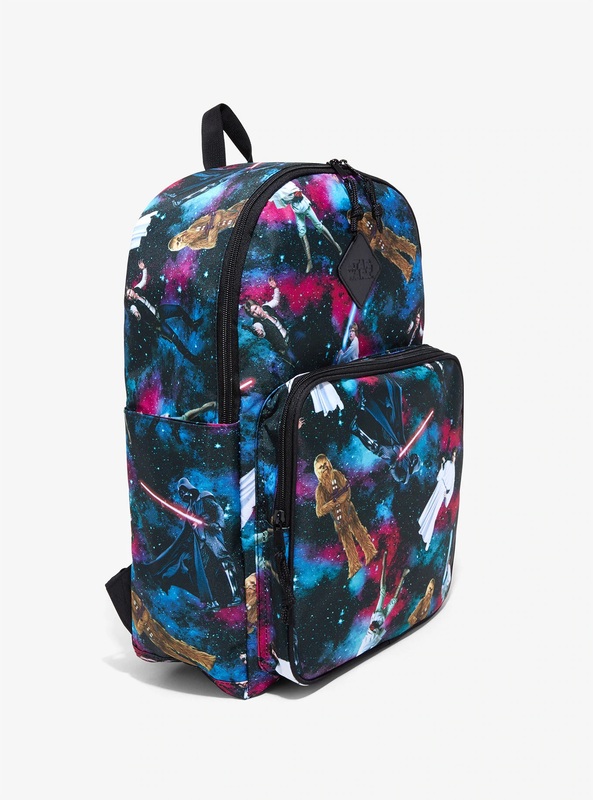 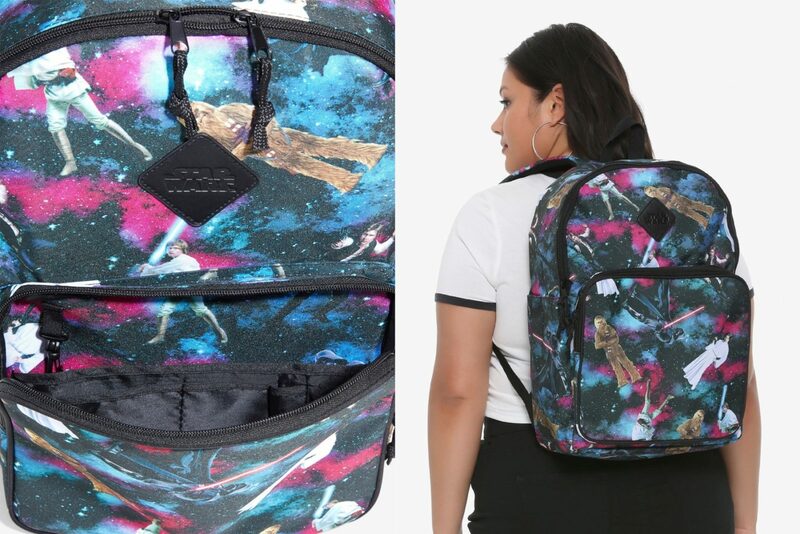 The polyester fabric backpack features an all-over repeating print of classic Star Wars characters from A New Hope, against a colourful galaxy pattern background. 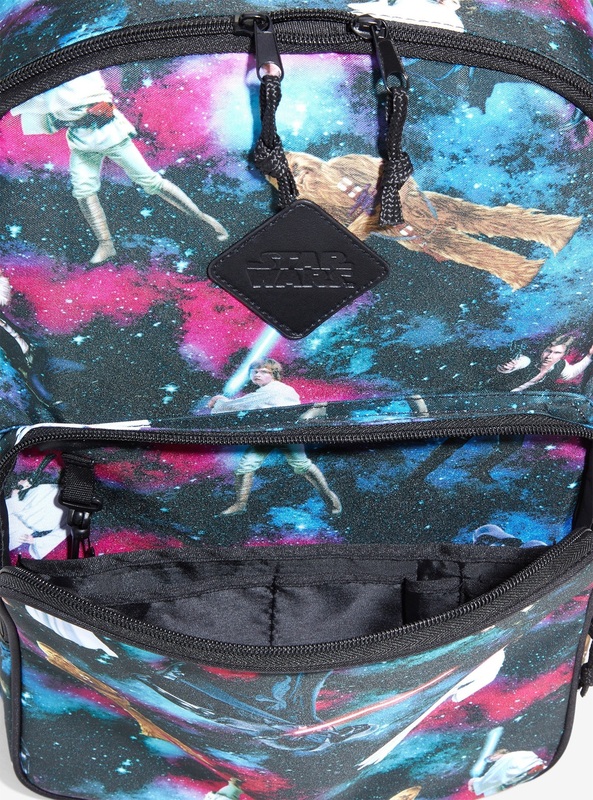 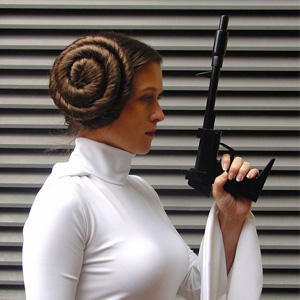 The print includes Princess Leia, Han Solo, Luke Skywalker, Chewbacca, and Darth Vader. 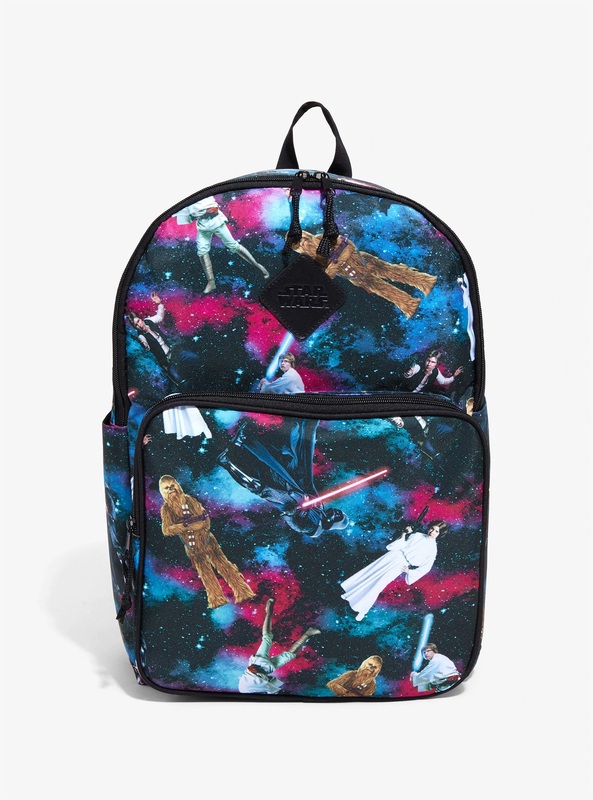 Usually priced at US$34.90 each, the backpack is currently on sale for only US$10.00 each – Hot Topic can ship internationally.